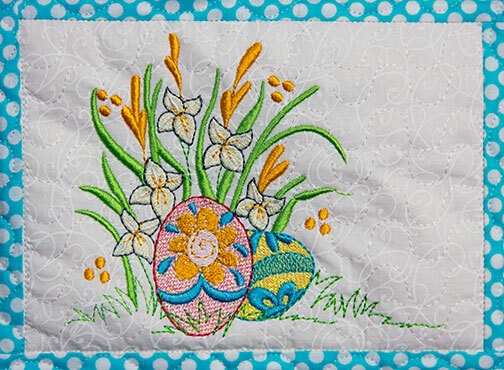 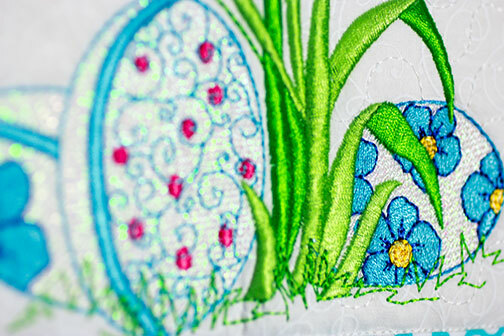 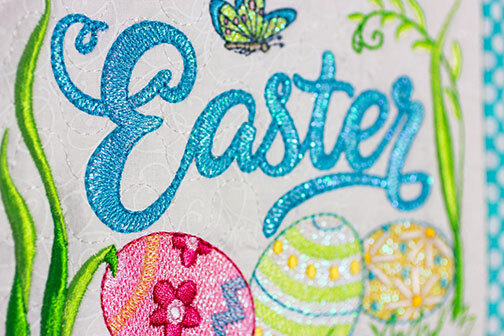 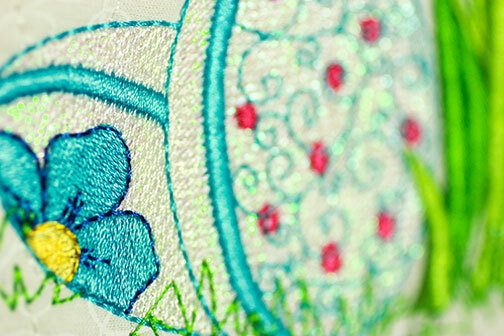 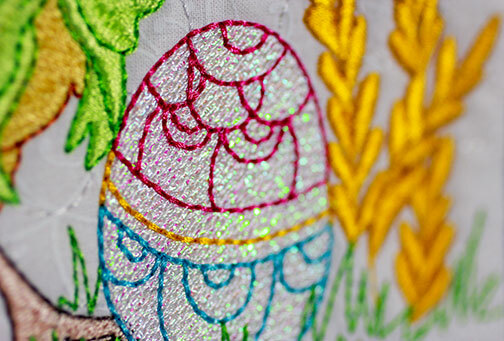 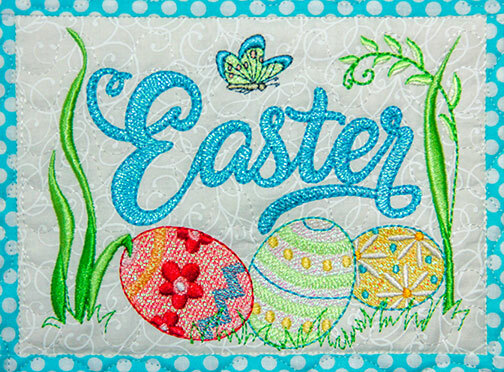 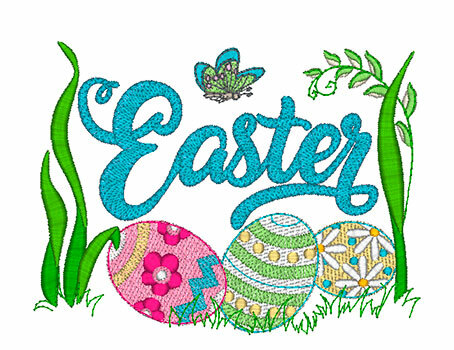 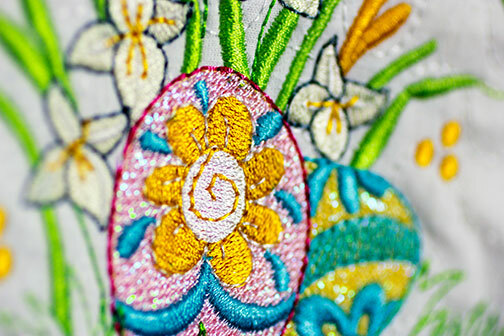 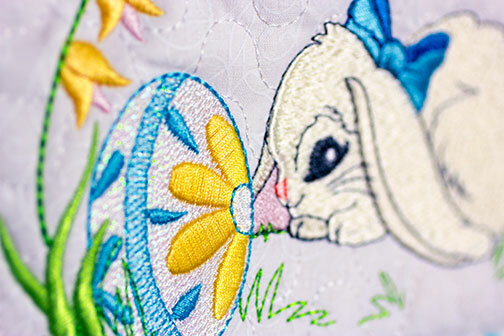 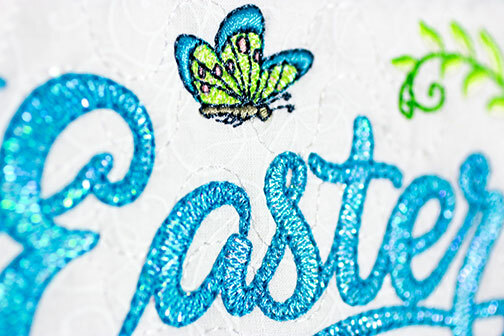 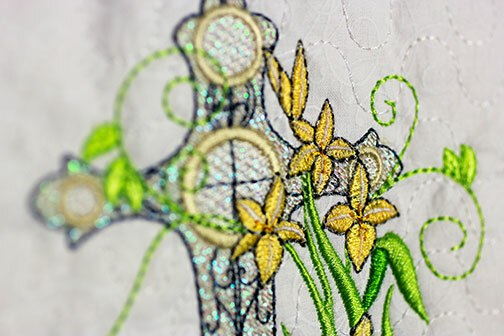 Mylar Eastertime is a beautiful collection of Easter designs with the fabulous shine of Mylar Embroidery ®. 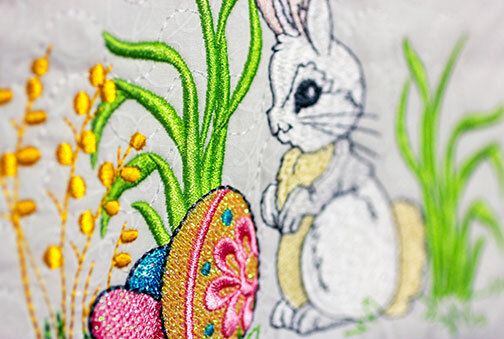 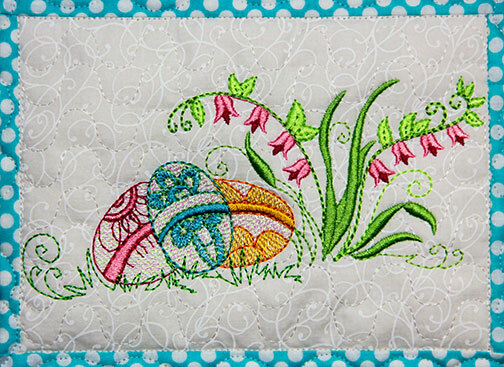 Colorful, sparkling Easter eggs, flowers and adorable animals complete this machine embroidery collection. 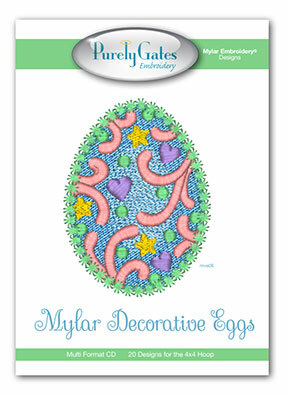 Pick up your copy today. 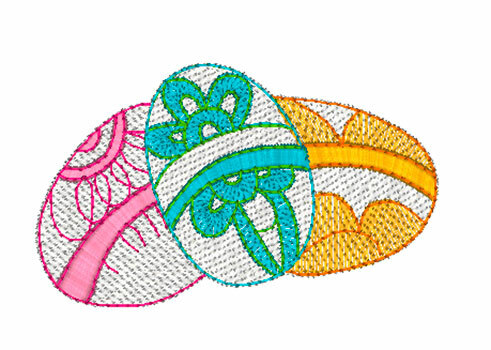 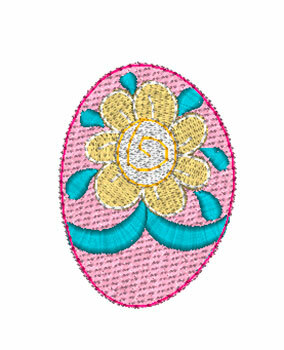 The embroidery design collection shown on this sample is not included in this pattern. 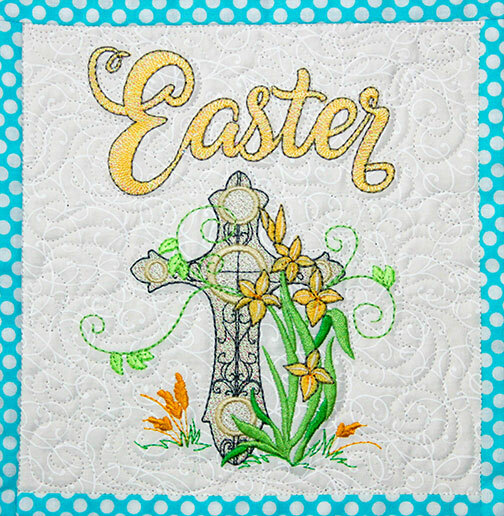 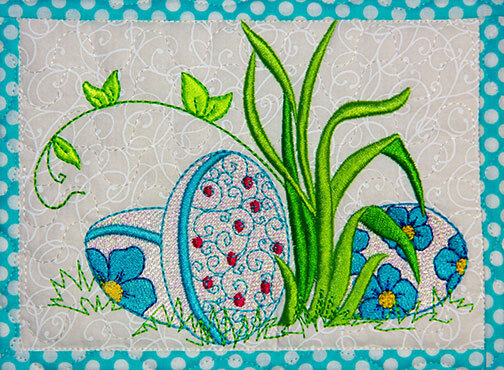 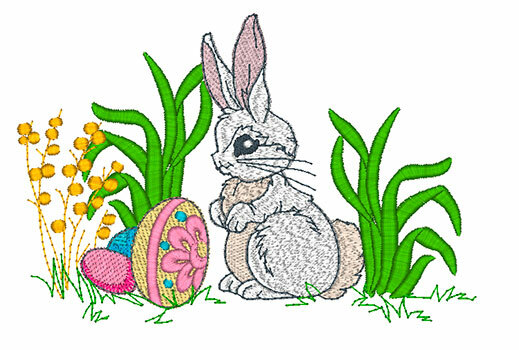 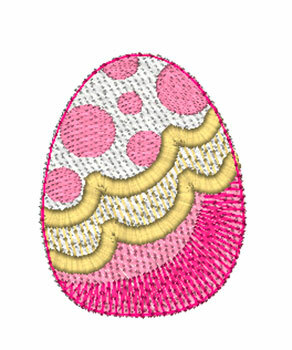 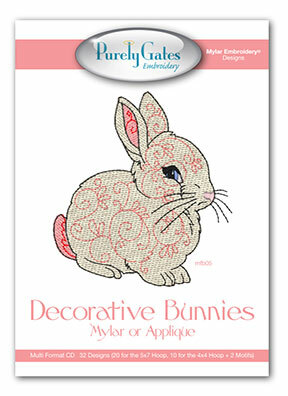 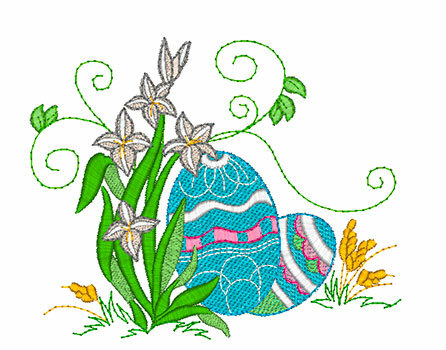 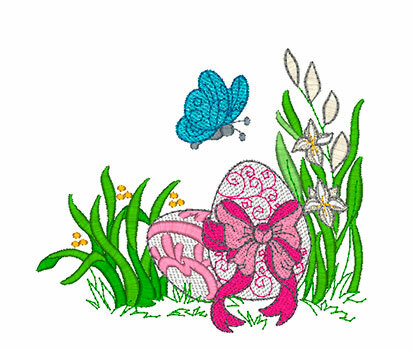 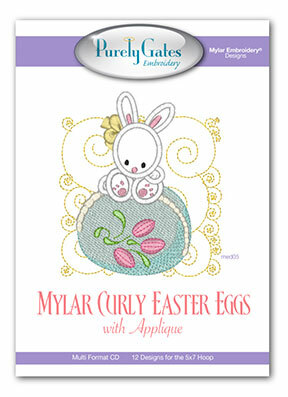 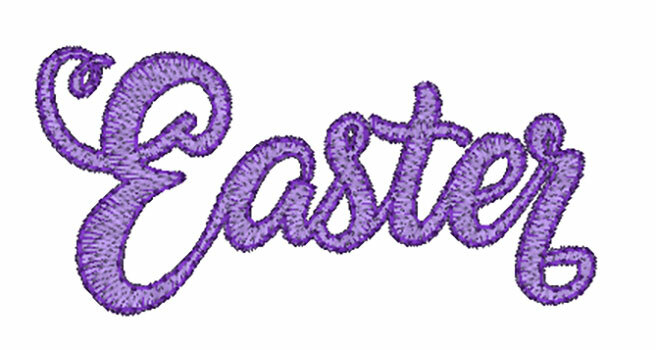 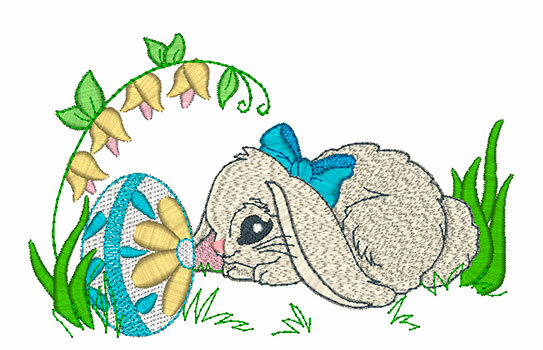 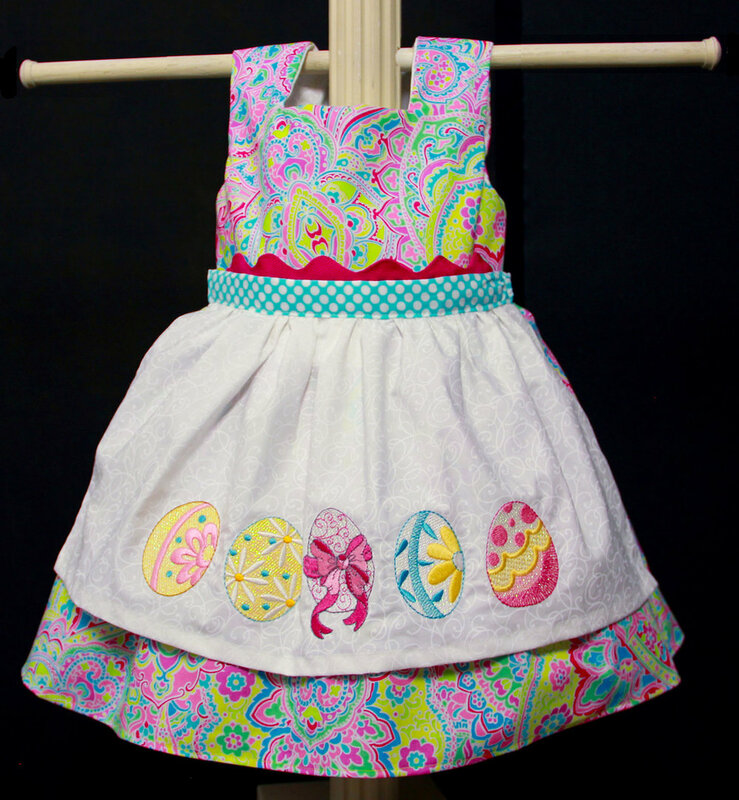 Mylar Eastertime can be purchased from a Purely Gates Embroidery dealer and as a digital download.